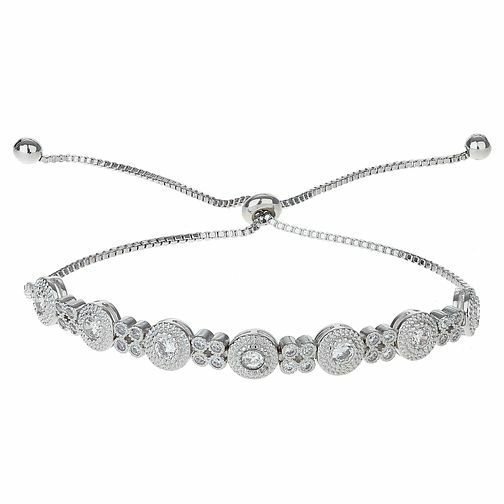 Oh so easy to wear, this glittering cubic zirconia set bolo bracelet is styled with sparkling round and flower shaped links. London based jewellery designer Mikey specialises in unique, wearable glamour for all occasions. Mikey Silver Tone Flower Cubic Zirconia Adjustable Bracelet is rated 5.0 out of 5 by 1. Rated 5 out of 5 by Anonymous from Great These were for my bridesmaids. They were beautiful and very delicate.